For most people, South America is limited to Brazil. Or if you, like us, have watched Narcos, it extends up to Colombia. 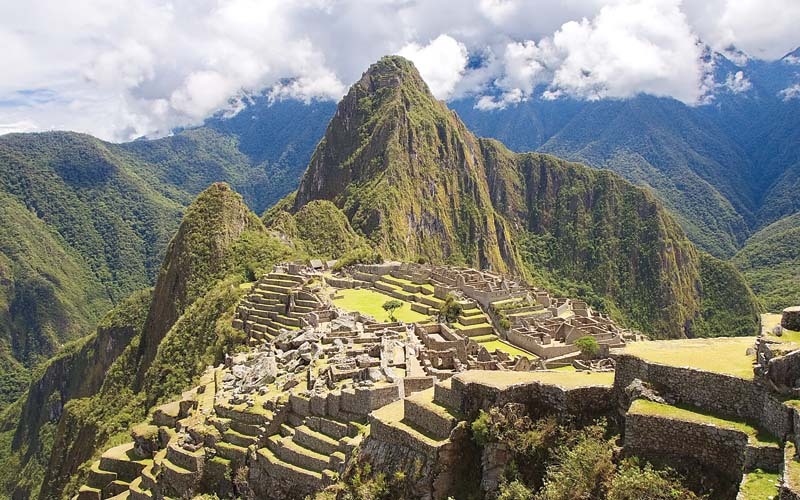 But a lesser known and far less visited country in South America is Peru. Belonging to the Norte Chico civilisation, one of the oldest civilisations in America, the country has a 5,000-year rich history that any history buff would go nuts over. It includes the dusty remnants of Chan Chan, some of the largest ruins in all of the Americas, puzzling geoglyphs etched into the arid earth at Nazca, and the fortress of Kuelap. Speaking of history, Peru is also a country of ancient mythical beliefs. And this feels most real when you are amidst one of Peru’s carnivals and all you can see is a swirl of vibrant colours and all you can hear is the booming of brass bands. The deities of the past come alive as costumed folk and effigies are paraded through crowded streets filled with dancing locals. The mere sight of all the joy and fun, the music and dance – it makes you want to forget your inhibitions and party it out right on the streets! If the rich culture and history of this South American nation doesn’t blow you away, the geography just might. Geographically, the country is bordered by Ecuador and Colombia to the north, Brazil and Bolivia to the east, and Chile to the south. The giant Pacific Ocean, sand dunes, and chiselled peaks offer rafting, paragliding, zip-lining, bike trails, and more. Trekking is a great way to see any country, and Peru has some well-traversed trekking routes, from the Inca Trail to Machu Picchu. And if the adventure junkie in you is still not satisfied, you could go on the Cordillera Blanca – Huaraz Trek, Colca Canyon – Arequipa Trek, Ausangate Trek, Salkantay Trek, Choquequirao Trek, and Inka Jungle Trek to Machu Picchu. Travelling is never complete until you’ve tasted the local cuisine, and in Peru you definitely won’t regret it. The biggest question for every Peruvian and every traveller visiting the country is ‘What should we eat?’ If you thought Indian cuisine was the most diverse in the world, Peru is about to debunk that myth. With everything from ceviche – a seafood dish typically made from fresh raw fish cured in citrus juices with slivers of fiery chili and corn – to slow-simmered stews, and velvety Amazonian chocolate, there’s a lot to offer. A culmination of the country’s great geographic and cultural diversity, the cuisine features ingredients ranging from highland tubers to tropical jungle fruits with complex influences of Spanish, indigenous, African, and Asian cultures. If this all doesn’t get you Googling flights to Peru, nothing will!